Generally, while making a house move, proper planning is always emphasized upon. A house moving process can take a long time and you are advised to start planning out on the things months before making the final move out of your current residence. Anyhow, regardless of the situation, you are aware of the difficulties that you will have to face because of this sudden change. Home relocation is a big decision but you need to keep your cool even if you haven’t got enough time with you to make the arrangements. Here are some tips and suggestions to consider when you are moving. 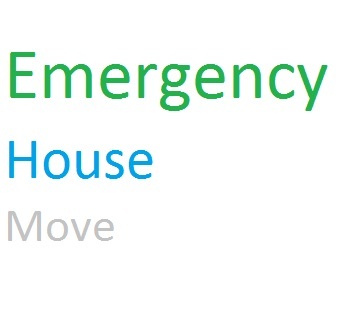 They would help you to deal with this emergency situation in a better way. Seeking the help of professional services for such an urgent situation is highly recommended. Hiring the professionals would allow you to benefit from their expertise in the area and outstanding relocation knowledge. The good news is that some of the home and office removals companies provide 24/7 hour relocation help. No matter how challenging the move is, such companies provide excellent relocating services regardless of the time and distance involved. In case, you plan to move ahead without hiring any skilled services then plan efficiently to execute the things as per the time availability. You can sort your stuff into three categories- things you want to keep, to sell and the ones you would not mind donating. Pack only the essential things that you would like to carry with you to your new place. Avoid taking along the bigger and heavy stuff such as furniture as there is much possibility that you might not have enough time for packing them. Try selling your stuff in a garage sale, through online websites or contracting someone else to sell the things for a commission. You can always send the stuff you want to donate to your favorite charitable institutions or they might collect them themselves. You can contact a storage facility to store the stuff for the time being and come back to it at a later date when you have more time available. Relocation can be taxing in both economical and emotional terms. Leaving your place all of a sudden could make things more difficult as you are not mentally prepared for the situation. Uplift your spirits by considering it as a chance to start life afresh. Look forward to making new friends and finding better things to do. Ask your friends and family for their help in helping you move. You can also seek their help in finding a new place of stay for you and even settling down the issues related to your current property. They could be really encouraging and motivating during the whole process of this unplanned house move of yours. Be systematic and organized in your approach so that you can save yourself of the trouble and reckless spending of money.